These beautiful Native American authentic turquoise sterling silver cluster earrings were handmade by Navajo silversmith, Geneva Apachito. 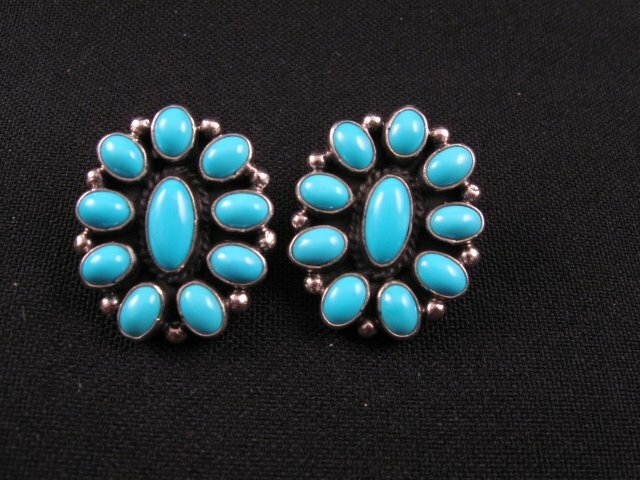 The earrings have large oval turquoise stones surrounded by nine more smaller oval turquoise stones. 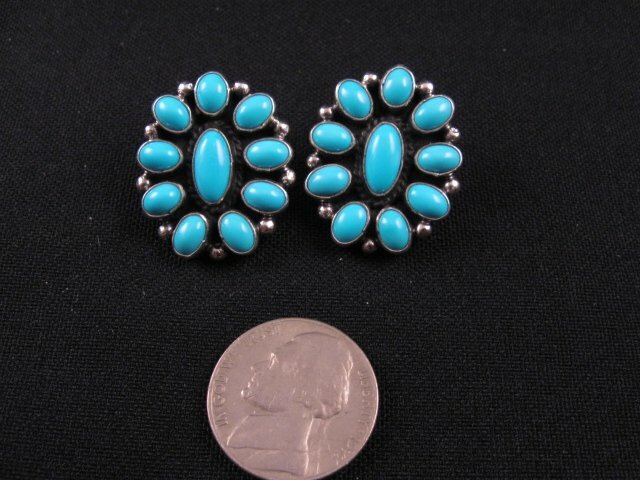 The earrings measure 1 long and weigh about 6.8 grams each. Exceptional quality and workmanship. The post is located near the top (on the back) of each earring. Brand new in perfect condition. They are stamped sterling and have Geneva Apachito's hallmark. Certificate of Authenticity and gift box included.